The University of South Alabama’s Jesmyn Ward has been named a finalist for the 2011 National Book Award in Fiction for her novel Salvage the Bones (Bloomsbury). Ward joined the USA creative writing faculty this fall. The twenty Finalists for the National Book Awards (NBA) were announced on Oregon Public Broadcasting's morning radio program, Think Out Loud, in front of a live audience at the new Literary Arts Center in Portland on Wednesday, October 12. The announcement was also streamed live on Oregon Public Broadcasting's Web site. Past NBA Winners, Finalists, and Judges announced this year's Finalists by category. Think Out Loud host David Miller interviewed each of the four guests and NBA Executive Director Harold Augenbraum about their own NBA experiences. Ward grew up in DeLisle, Mississippi. She was a Stegner Fellow at Stanford and the 2010-2011 John and Renée Grisham Visiting Writer in Residence at the University of Mississippi. Her debut novel, Where the Line Bleeds (Agate Bolden, 2008), was an Essence Magazine Book Club selection, the recipient of a Black Caucus of the ALA Honor Award, and a finalist for both the VCU Cabell First Novelist Award and the Hurston/Wright Legacy Award. 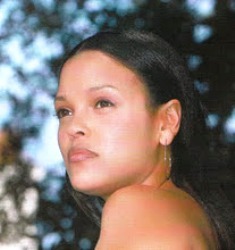 Photo of Jesmyn Ward courtesy of jesmini.blogspot.com.